Peter and Carol are confused. Carol's Mom and Dad, Chuck and Sandy, told them how great FHA mortgage financing was but Peter's brother, Tom, keeps telling them they should only look into conventional loans. In a fluke of timing Peter and Carol on Saturday night had a family gathering where Chuck and Tom got into an argument about mortgage financing. Yes their family is a little strange... arguing about mortgages... but that's how the story goes. Chuck argued that the lower down payment, more liberal debt to income ratios, and the fact that FHA is more forgiving on credit scores makes FHA financing superior. While Tom argued that if you have anything-better-than-decent credit, you have 5% (3% for fist-time home buyers) or more down on the asset, and your debt to income ratios are low that conventional financing would be your best bet. Things really heated up when Carol's brother Martin jumped off the couch slide in front of Chuck and Tom and shouted at the top of his lungs... I DON'T CARE ABOUT MORTGAGE FINANCING I'M JUST HERE TO WATCH THE GAME!!! Carol was sure that fists were about to fly and she would end up on the six o'clock news explaining how her family gathering ending up as a family brawl. But to Carol's delight, Chuck and Tom were laughing so hard they couldn't stay mad. Carol looked at Martin and burst out laughing. His face was beat red and he had crazy eyes. Chuck composed himself looked Tom dead in the eye's, smiled that wry smile of his and told Tom that Martin, bright red face and all, just might have a point. Maybe watching the game would be better. When everyone left, Carol and Peter went online to see what they could learn about FHA and Conventional financing options and hopefully learn which one would be best for them. They searched every nook and cranny of the internet and were able to confirm that both Chuck and Tom were right. Chuck was right about the lower down payment on FHA... only 3.5% and it did seem that FHA was more forgiving on credit scores. Tom was right about conventional financing and since Peter and Carol were putting down 5%, had good credit scores, and not a lot of debt, conventional financing seemed like the best way for them to go.  If you agree with Chuck and want to put down only 3.5% or your credit scores are not where you want them to be then click the button below to learn more about FHA mortgages. If you agree with Tom and are thinking conventional mortgage would be right for you fill out the 'Contact Us' information at the bottom of this page. Names and faces may have been changed to protect the identity of those involved. Your paperwork, once it arrives here in our office, is transported to Scotty, our opener, who orders your title work, credit report, and appraisal. Scotty, then transports your file to Chekov, our Disclosure Processor, who produces your Loan Estimate which is sent to you for review and approval. Your approval comes via your Intent to Proceed which can be verbal or in writing. We’ll also need to receive your Application Fee. Once we have those items, your file lands with McCoy, your Loan Processor. McCoy, well McCoy’s like a private eye sifting through your file with a fine tooth comb: looking for anything needed that has not been collected. If McCoy discovers anything missing you’ll be notified of the additional information needed. Why because your file needs to be ready for underwriting and if we have all the information the underwriter can clear your file to close quicker, which saves time which means you close sooner. Your file is then transported to Spock, our Underwriter, who will explore your file like it’s a newly discovered planet. Spock loves paperwork and paperwork loves Spock. Once Spock has explored your file we will have either clear to close, conditions (which is just a fancy way of saying we need more information), your file could also be suspended or declined. Whatever the result, your file will land back on McCoy's Desk. If your file is clear to close, McCoy will order your payoff and verify your homeowners insurance is paid and in place. Once that is completed, McCoy transports your file to our Scheduling Department. If your file has conditions, McCoy will let us know what those are and we will contact you to get the additional information. If your file is suspended, McCoy will transport your file back to my team and we will see what we can do to turn suspended into approval. If your file is declined we will let you know. Your file, once it is clear to close, goes to Sulu in our scheduling department. Sulu will schedule your closing, verify your employment and request a draft of your Closing Discloser from the title company. Once your Closing Disclosure is completed Sulu will send it to you. Your file is then transported to Uhura (Ohara) in our closing department. Uhura will prepare your final Closing Discloser and closing package. You will than beam yourself to closing.